So you’ve heard of Khotan – also spelled Hotan – and you’re interested to travel there. As early as a decade ago such a journey would have taken days, but recently that time has been cut dramatically. Traveling to Hotan has now become easier than ever thanks to the completion of a new railroad line and the addition of some flights. Below is a short guide to finding your way to one of the most well-preserved outposts along the Silk Road. 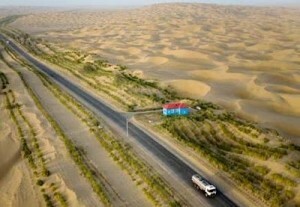 By far the slowest way to get to Hotan is by bus, but that trip was made shorter thanks to the completion of the Tarim Highway, a 446km highway that cuts directly through the heart of the Taklamakan Desert. It’s an incredible opportunity to travel through the heart of one of the harshest deserts on the planet. Bus tickets on this highway are cheap, running between 100-200 RMB depending on the class of bus you decide to take (there’s luxury, and then there’s lesser-luxury).They are also fairly easy to obtain and buses run on a regular schedule. Tickets from Urumqi to Hotan will run you closer to 400RMB. 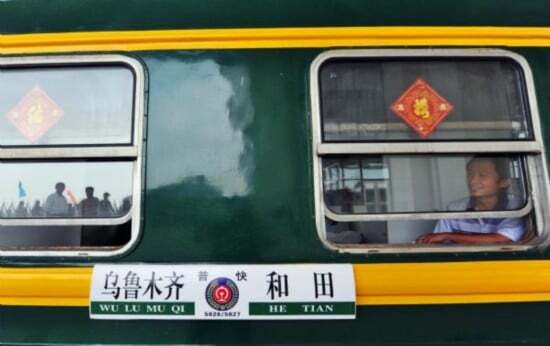 As of June 28, 2011, travelers can now reach Hotan traveling by train from Urumqi via Kashgar. The entire trip takes 34-37 hours in total even though it’s really only the last 488km that were recently opened between Kashgar and Hotan. A train isn’t much faster than a bus, but it is more comfortable. It’s also reasonably priced, ranging from 200RMB for a hard seat (don’t do it!) to well above 500RMB for a soft sleeper. Click here to learn more about the Urumqi Train Station. 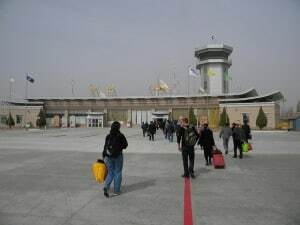 Flying to Hotan is by far the quickest option of the three, and surprisingly there are a few options for such a small city. There are 4 flights that depart from the Urumqi Airport daily and then another two flights on random days. You might here news of new flights from cities like Anhui, Hotan’s sister city inland, but in reality all of these flights first make a stop in Urumqi. Flights from Urumqi to Khotan take about 2 hours and will cost between 700-1,000 RMB depending on the discount you can get. Enjoy your journey to Khotan! 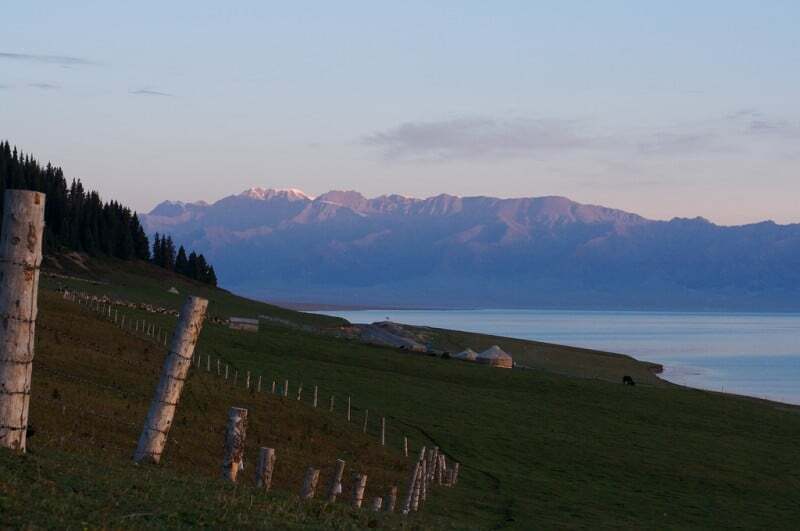 Travel to Xinjiang's Four "Great Lakes"
This can’t be a coincidence, considering latest news about Hotan…? Definitely poor timing, I regret. I had written this a few days before the riots and didn’t even think about it until it automatically posted. I heard that Hotan was closed now. Anyone know? I believe that it is for the time being, but it will be opened again soon. On our recent trip to far West China my one regret is that we did not make it to Hotan (only got as far as Yarkand on the southern Silk Road route). In my defense, all I can say is that unless you are going to fly in and out of the city (which is not ideal, because you have to go through Urumqi both ways), it is a looong trip to Hotan. It takes a lot to make up for 10 hours in the car! Maybe someday when they open the city back up…. Hi Josh, I am very interested to visit Hotan. 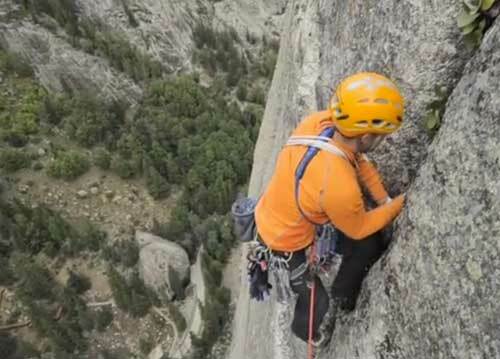 I have no idea how to get there or if I need a visa. What language do they speak? What is their currency? Are they Muslims ? Is it safe for westerners to visit Hotan and travel along the Silk Road? All great questions, Ghulam. 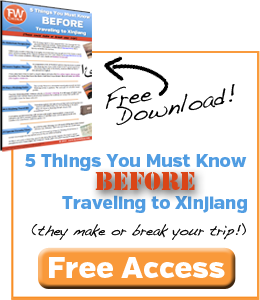 I recommend you pick up a copy of the FarWestChina Xinjiang travel guide. It will answer all of your questions and so many more! Enjoy your travels.